Keep in touch with what’s happening at Bayley House. Find out about upcoming events and some of the stories shaping our community. Bayley House has been helping people with an intellectual disability to fulfil their potential since 1951. Fascinated by true crime? Well then we have an offer you can't refuse! The Bayley Birds have secured a killer line up for 'A Moveable Feast of Crime' luncheon at Sandringham Yacht Club. Bayley House Art Exhibition theme ‘Celebration’ showcases our artists’ interpretation of celebrating life, love, family and community. 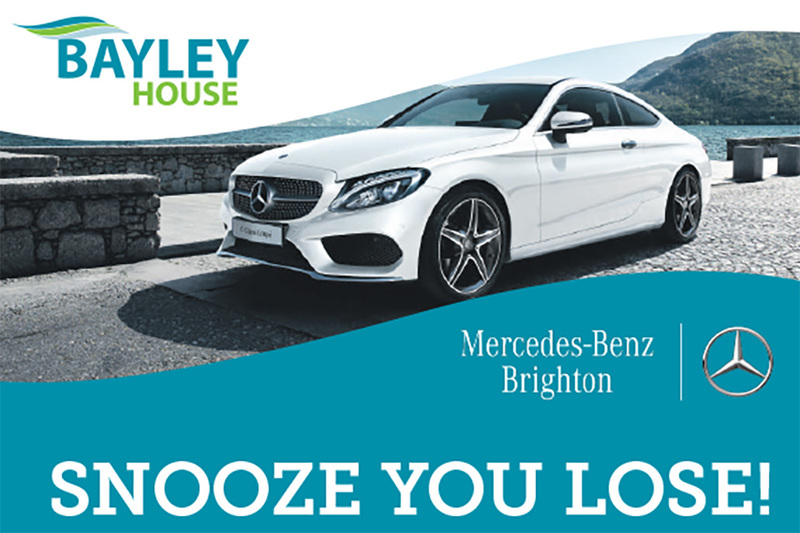 Bayley House and Mercedes-Benz Brighton have teamed up to offer the first 10 buyers a fantastic Drive Day Experience for 2 people. We'd like to say a warm welcome to our new CEO, Warwick Cavanagh. In May, Bayley House ran its second annual day of giving with an online fundraising campaign. Bayley House is excited to trial sophisticated computer interface technology with the help of a generous grant from Sandringham Community Bank. The Federal Government last month announced the formation of a taskforce to deter and respond to fraud committed against the National Disability Insurance Scheme. For many, the Queen’s Birthday holiday weekend is a time to relax. But not for IronMan Paul Carr, North Brighton Anglican Minister and ‘everydayhero’. Our COO, Janet had the pleasure of attending the Bayside Annual Grant Celebration Evening last week where we received a generous grant that will go towards our new Writers Club project. The Bayley Bulletin newsletter highlights information about our services and programs as well as what has been happening over the past three months. Read our latest issue by clicking the cover image below, or view our older issues here.